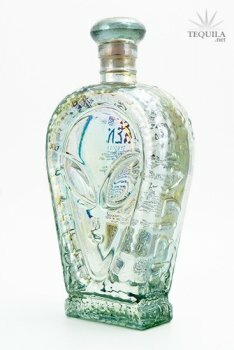 Alien Tequila Silver is 100% Blue Agave, estate produced and bottled in the town San Agustin located in the Highlands of Jalisco, Mexico. Alien Silver is bottled directly after distillation in an iridescent "out-of-this-world" vessel displaying an extraterrestrial in a spectrum of colors. Nose is fairly pungent, at first is reminiscent of rubbing alcohol. 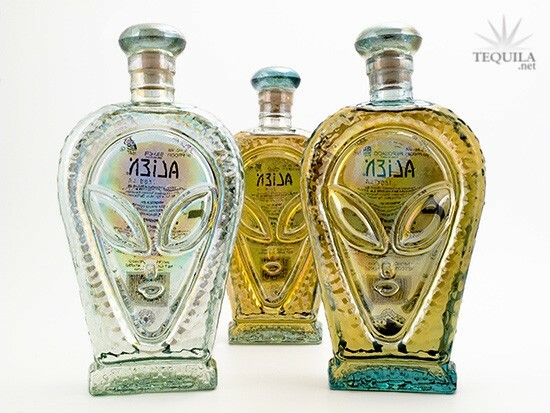 After opening up a little bit there was a subtle but pleasant floral presence, agave, along with berry, and pine nut scents. Nice, long tears. Initial taste is sweet, body is earthy, fruity (again, berries), citrus, medium agave flavor. The finish was a bit too strong for my liking with quite the bite in the back of my throat; definitely not rubbing alcohol-ish, but not nearly as smooth as some of my favorite blancos. 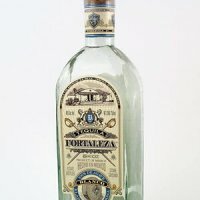 I think it's a good sipper, though a touch too earthy for my liking; and just a touch too strong of an alcohol bite for me to enjoy mixing it. Presentation is a bit gimmicky, but definitely different, risky, and unforgettable.